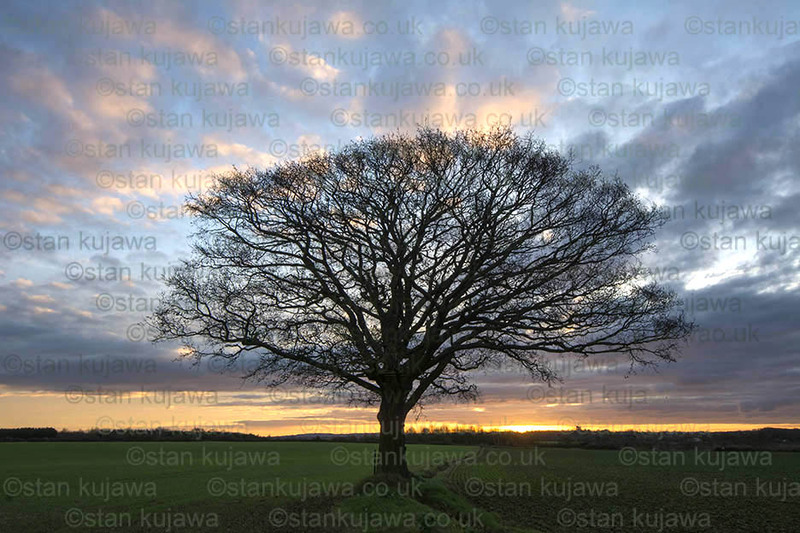 Sunrise over farmland with a solitary oak tree. Maidenhead, Berkshire. 20.12.14. Photo ©Stan Kujawa 2014. Photo may not be used without the express written permission of the author.